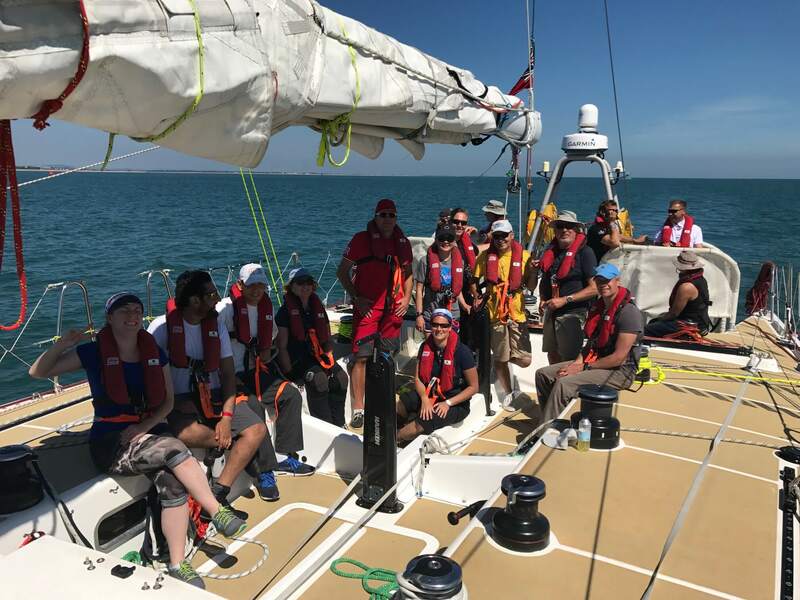 Level 4 Clipper Race Training is the last of the 4 weeks of training that Clipper provide ahead of the biennial Round the World yacht race. And it is known to be incredibly tough. Offshore for 7 days, sailing round the clock in watches, honing ‘drills and skills’, the week also includes a cross channel drag race against the rest of the Clipper Race fleet. I’ve just completed my Level 4 Clipper Race training, and it certainly lived up to its reputation. Here I’m going to blog about one of the most tiring, exhilarating, intense, exciting, and downright exhausting weeks of my life. I’ll warn you now, you may want to grab a cuppa – I hope you enjoy the read. I’ve already posted about my infamous level 3 Clipper Race training week, which included a few disasters such as a fuel shut off incident in the main Portsmouth Harbour channel, running aground, a crash (resulting in a hole in the hull! ), but above anything else, excellent team bonding and team work! So I thought I’d share a fantastic video which was made by a production company who were on a try out for the RTW (credit: Maeva Bardy). I hope it gives you a flavour of the training side, and uplifting mood that we had on board despite the dramas! CLIPPER ROUND THE WORLD RACE – A TRAINING DAY IN GOSPORT from Maéva BARDY on Vimeo. If you want to experience the excitement of race start, the Clipper Race is starting on 20th August with a line slipping ceremony at 9.15am, and a starting gun firing at 12.30pm at Albert Dock in Liverpool.